One of those ‘This is what the internet was made for’ moments. 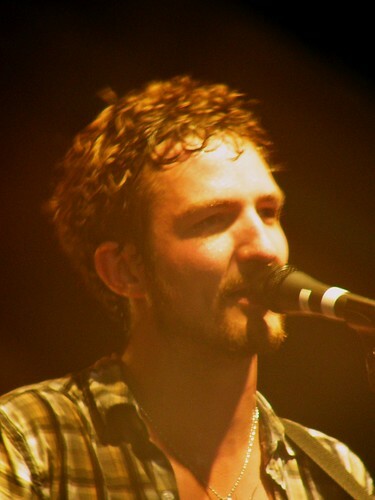 Frank Turner, currently one of my favourite musicians, mentions on Twitter that he’s about to play a free gig in Winterthur, Switzerland later in the day. My friends Rebecca and Simon live in Winterthur, so I suggest, through Twitter, that they may want to go along. Rebecca and Simon haven’t heard of Frank Turner, so they sample his tunes via the web. It’s a pleasant evening in Switzerland so Rebecca and Simon decide to go along. Rebecca and Simon send me, via Yfrog and then Flickr, photos from the gig. 5. Frank Turner gets a new fan, Becs and Simon get a good night out and I, half a continent away, get to see what a good time they had. That (among a few other things) is what the internet was made for. I’m a big fan of Flickr. It has so many features, such functionality and such a network of communities that, in addition to using it for my own personal photos, I use Flickr for work-related projects. If I have a Flickr set of photos relating to a specific event, I can show them to colleagues, contacts or journalists. And if a colleague needs a full-sized version of any image, Flickr gives me, via a couple of right-clicks, a URL for the original size of any of my images (This is only available to Flickr Pro account holders). I’m not just referring to the URL for a Flickr page – I mean the link to the image itself, and I can share this image URL with anyone, preventing the need to send large files via email. The ability to distribute images via the web is a great facility. But I frequently find myself promising a set of originals to a colleague, and then tediously right-clicking, copying and pasting my way through a large set of images, compiling a list of URLs within an email. One day recently, as I was working through a set of images, retrieving original image URLs, I wondered aloud, via Twitter, if anyone knew a clever way around the problem. A guy called Martin Hatfield, through his Twitter account of @hairyhatfield, noticed my Tweet and offered to help. I’ve never met Martin, but he seemed to understand my plea and, as a guy who appears to know how tinker with the web, he set to work with the Flickr API, Yahoo Pipes and whatever other clever tools he uses. A few days later, Martin contacted me again and unveiled his creation: Picr. A tool to automate the process of compiling image URL lists from Flickr sets. The way Picr works is simple – you just enter the number relating a Flickr set (the unique number that forms part of the set’s ID), and you are given a list of the URLs relating to each image in the set. These are not the page URLs – they are the URLs of the actual image files. This list can then be copied, pasted and emailed to anyone I’d like to have quick easy access to the image files. Picr gives you the image file for the largest file that’s publicly available, so if your Flickr permissions are set for everybody to have access to your original files, that’s what Picr will provide. If your Flickr account has been set to limit access to the original sized files, then Picr will provide a list of the URLs for the medium-sized images, as seen on regular Flickr pages. Help with these permissions can be found on the Flickr FAQ. If you’re currently logged in to Flickr, here is the page you need to govern access to your original versions. It’s important to remember that Picr doesn’t bypass any of the privacy settings you have set for your Flickr account. If you’d like to be given a list of original-sized image URLs, your permissions settings must allow public access. If you’re happy to receive URLs for medium-sized images, then your account can have tighter privacy settings. Picr simply retrieves the URL for the largest publicly-available version of each image. If you can’t decide between the utility of accessing a full list of a set’s original URLs and the security of tighter Flickr settings, a simple solution is to alter your Flickr settings only long enough for the time it takes Picr to do its job – a few seconds – before resecuring your Flickr account. This may seem a hassle, but compared to the time Picr may save you, it’s no big deal. Of course, Picr is a fairly specific tool for a fairly specific job. It will certainly save me time, but I appreciate not everyone uses Flickr in the way I do. There is so much that can be done with the mass of APIs, RSS feeds, Yahoo Pipes and clever developer tools. And when combined with the knowledge of how to use them (provided in this case by Martin), the potential solutions are countless. Secondly, I have been reminded of the willingness of near-strangers to help each other; to share skills, to solve problems. I have never met Martin in the flesh and I only vaguely know him through Twitter. But that didn’t stop him hearing my call for help and coming to my rescue with Picr. If I do ever meet Martin, the beers are most certainly on me. 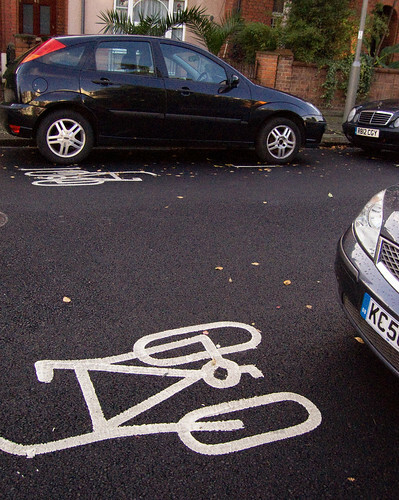 Do some cycle road markings do more harm than good? All over the UK, local authorities spend money and effort improving conditions for cyclists in a bid to encourage the use of bikes. Wherever we see painted cycle markings on the road surface, we get the feeling that something positive is being done to improve the situation for cyclists. But is this always the case? What are these? Cycle markings, in the commonly recognised format. This looks great. Are they on a recognised or recommended cycle route? Not according to the London cycle route maps produced by London Cycling Campaign and Transport for London, no. Do they indicate a cycle lane? No. The street in question is a busy suburban street. There would be no space for an actual cycle lane. They are simply cycle markings in the main carriageway of the road. Do they indicate the correct position on the road? I really hope not. Correct position cannot be mandated – it needs to be decided dynamically by the rider. If taken as an indication of proper road positioning, these markings are dangerous. A rider following the position shown in the first picture would place themselves in prime position for a ‘dooring’, one of the most frequent, and painful, of cycling accidents. Parked cars should, wherever practical, be passed by a margin that allows a door to be unexpectedly opened by a unobservant driver. If a cyclist knows better than to follow the positioning of these markings, other road users may then question their use of the road. Neither drivers nor cyclists need any more potential for negative feeling or misunderstanding. Markings to indicate recommended road positions are sometimes called sharrows, especially when used in North American cities. But they are usually seen on wider roads. Do these markings simply remind drivers that bikes may be present on this road? If so, this is well-meaning, but worrying. 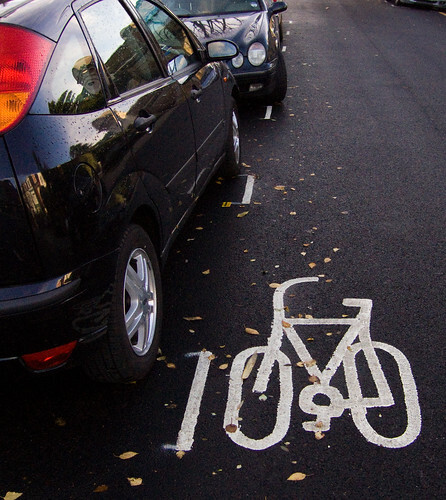 If we start marking roads as being used by bikes, where does that leave us on unmarked roads? Cyclists should be expected on all roads. I’m intrigued to know how these markings are intended to help, and I’m contacting Wandsworth Borough Council to ask why. I’m a casual photographer with no formal expertise. I learn through mistakes and lucky shots. 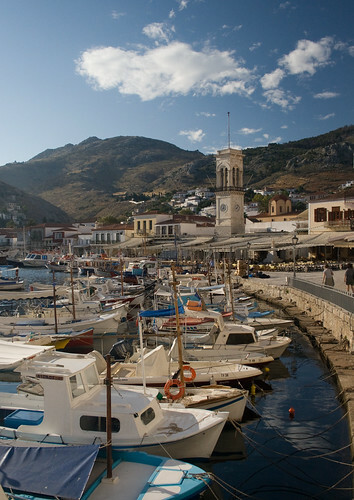 A two week trip to to Greece in 2009 was an action-packed holiday with lots of opportunities for photography. 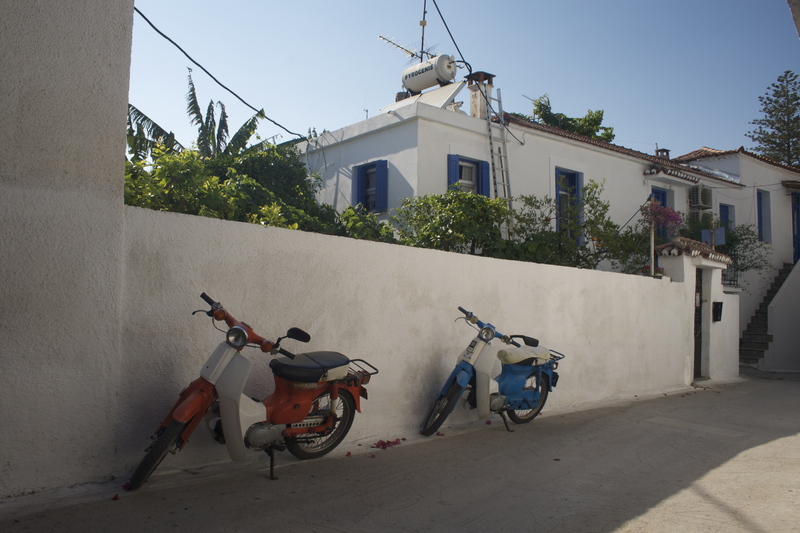 A week of watersports and mountain biking with Poseidon Sports was followed by a week of island-hopping towards Athens. I came home with several thousand images on my memory cards. Some shots were good. Many were not. I learned some useful photographic lessons from the adventure, and here I’d like to share them. If you want professional opinion on photographic technique, you’re probably best speaking to experts like lomokev or Garage Studios about some training. 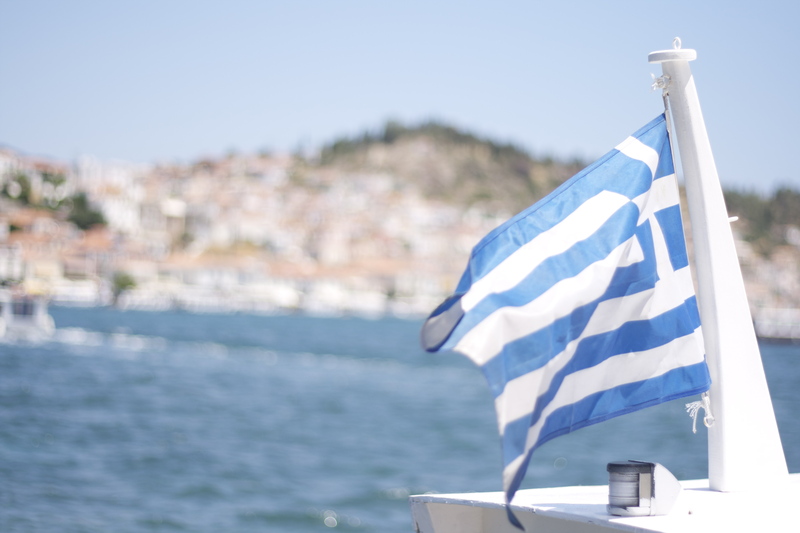 But here are some simple little travel photography tips I’ve picked up through trial-and-error while travelling in Greece. If you’re a photographer, feel free to correct, criticise or add to anything I say here. I’m still learning. And I’m loving it. 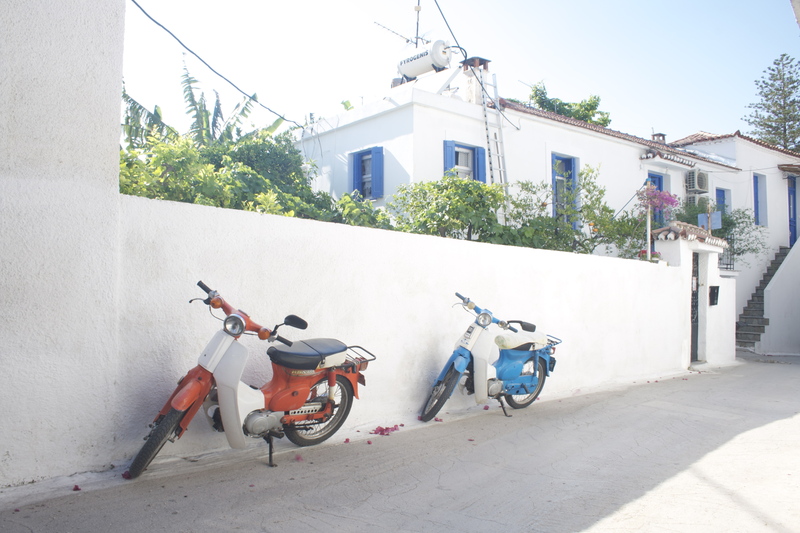 I only have a modest pair of basic cameras, so the task of selection for my trip to Greece was not difficult. My Canon EOS 400D DSLR came with me, accompanied by its three lenses – a Canon 18-55mm , a Canon 50 mm f/1.8 (great for portraits and low light) and a Sigma 70-300mm (with macro). I used all three lenses and I’m glad I took them, despite their bulk. If you are blessed with a greater number of lenses, consider which ones you really use and which ones you’re willing to carry. It may be a hard decision. My Canon PowerShot S70 compact is getting old but has helped me to take some of my favourite photos, particularly while mountain biking. Its toughness and portability means I often carry it in situations where I may not have my SLR to hand. As an accessory, I have a waterproof case for the Canon PowerShot. This housing enables photos in or near water. 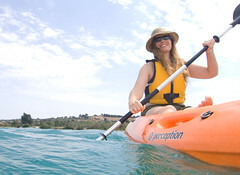 On a watersports holiday, that brings huge opportunities. Additionally, a mobile phone with a decent camera is no substitute for a real camera, but often helps to capture fleeting moments, and can be handy for instant uploads of travel photos to blogs and social networks. While travelling, access to electricity may be unpredictable, so a good handful of spare batteries is a worthwhile investment for your camera bag. Bear in mind that unbranded ‘pattern’ batteries are often priced far more keenly than original batteries from camera manufacturers. Carry a charger for the times you are able to plug it in, but be aware of the voltage in the country you’re visiting. UK and mainland European voltages are inter-compatible, and some, but not all, UK-bought chargers and appliances can operate on the 110 volt supplies used in Canada and the USA. Check the label. If your charger plugs in via a detachable ‘figure of eight’ lead, try to obtain an equivalent mains lead with the plug of your host country – saving the weight of an additional UK plug adapter. If using an SLR anywhere in the sunshine, polarising filters are virtually essential. Harsh sunshine can overwhelm the camera as well as the eye. A polarising filter acts like a pair of sunglasses, moderating the harshness of strong sunlight. Polarising filters are particularly worthwhile when photographing water scenes, cutting reflections and capturing clear blue seas. Polarising filters are available in sizes to fit the diameter of lenses, measured in millimetres, so get the right ones for your equipment. 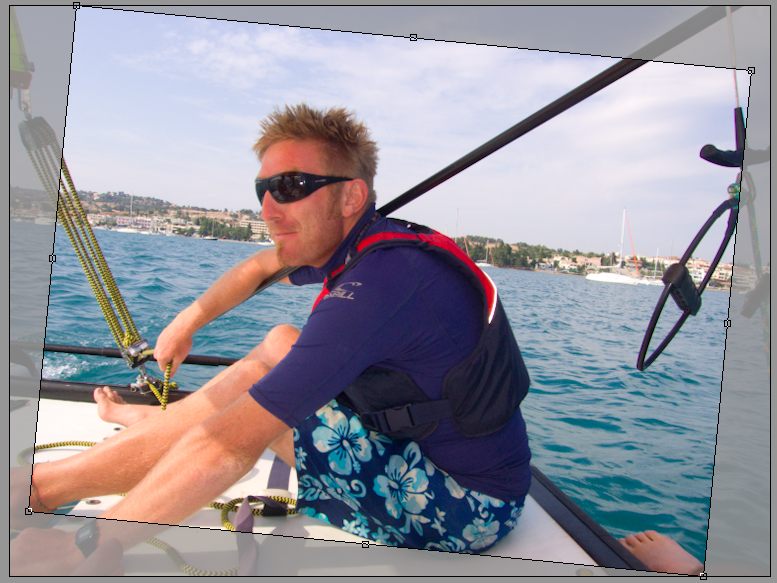 Screw onto the end of your lens and rotate the filter until you see an improved image through the viewfinder. It’s tempting to leave polarising filters on your lenses semi-permanently when in sunny places, but don’t forget if you have one fitted. Action photos or shady scenes can be made harder to expose correctly by the presence of a polarising filter, so judge the need of each photo individually. After taking great pictures, you need to keep your data safe until you get home. With large files, enthusiastic clicking and some precautionary bracketing, it’s likely you’ll end up with several gigabytes of files. The first step is to invest in some good-sized memory cards . Keep them in their little plastic cases and protect them in a dedicated bag, pouch or pocket. Then consider back-up. Will you be carrying a laptop? Will you have access to a computer during your trip? If so, you can back up your files to DVD, to a hard drive or an online service like Dropbox or MobileMe. Halfway through my trip to Greece, while visiting a friend, I backed up all my photos onto her computer and onto a portable hard drive I kept in my camera bag. If using public computers in places like internet cafés, be especially wary of viruses that may be carried on memory sticks or flash memory cards. A sound anti-virus package on your home computer should reduce the chances of bringing home an unwanted infection. I took a Lowepro Flipside 300 and a CCS Warthog pouch. I stored all my kit safely and conveniently in my Flipside, while using the tough waterproof Warthog for day trips and mountain biking. So while travelling between locations, I had two bags to carry – one bag of camera kit and another containing the Warthog and my other possessions. During the second half of the holiday, I was constantly mobile and the extra luggage became tiresome. I wish now I’d just taken the Warthog, and carried spare lenses and accessories in pouches stored in my main baggage. The bulkiest bit of equipment I took to Greece was a tripod, yet I rarely used it. My current tripod is of low quality. I don’t enjoy using it and it gives variable results. In retrospect, I should have either bought a good quality tripod before my trip, or simply left this awkward kit behind. On the other hand, the waterproof housing for the Canon PowerShot is admittedly bulky and heavy. Am I glad I took it? Yes. 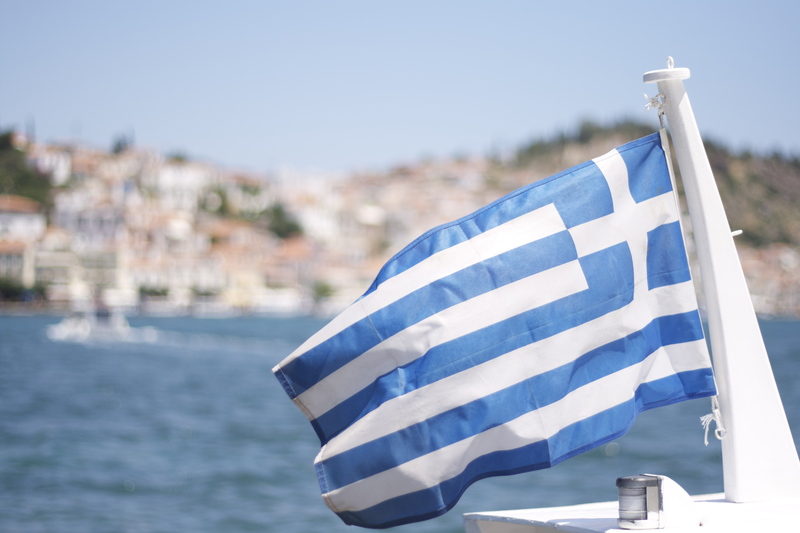 Watersports and swimming were significant aspects of my trip to Greece, so my housing enabled me to get pictures that capture some of the best moments of the adventure. Judge each item of equipment realistically, assessing how likely you are to use it and whether you really want to carry it. Correct exposure can be tricky at the best of times. With the added factors of bright sunlight, strong shadows, whitewashed buildings and possibly the use of a filter, it can be very difficult to pick the right settings. So have a go at ‘bracketing’ your shots. If you think you’ve got a good picture, take some more that are underexposed and some that are overexposed. Take lots. When you get home you’ll have variously exposed versions, one of which will be the basis for your finished picture. Find the exposure compensation control on your camera, sometimes marked Av +/-, and play with it. When spending time on the coast, the sea becomes an inevitable background to many photos. And where there are seascapes, there are usually horizons. The goal of a level horizon, straight from the camera, is virtually impossible to achieve. Leave adjustment ’til you get home, but give yourself something to work with: If your photo includes a horizon, don’t zoom right in on your subject unless you have to. Straightening and cropping a photo will sacrifice areas around the edge of your photo, so bear this in mind when composing a shot with a visible horizon. Don’t zoom in too much. Maybe it’s a cliché, but many people choose to take photos of flags while visiting foreign countries. If you do this, take a few shots. Fluttering flags give unpredictable results. 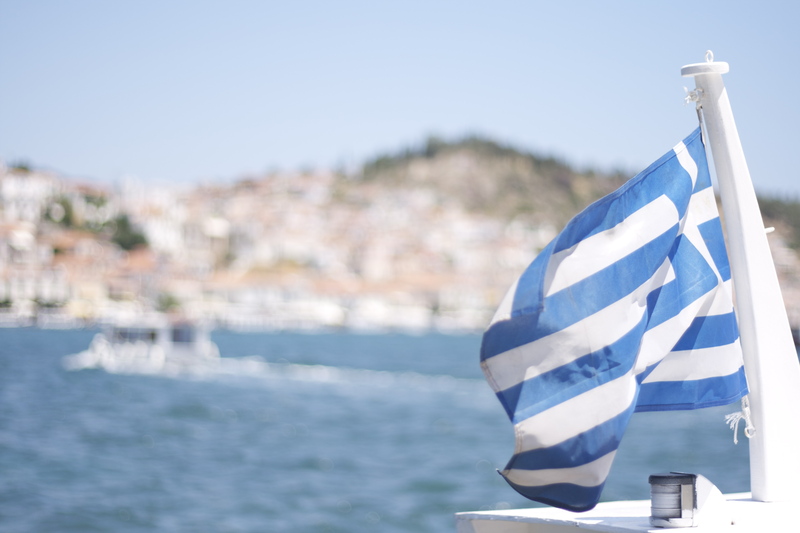 What looks like a proudly flying Greek flag may, when photographed, come across as an awkwardly folded sheet of stripy cloth. So grab several photos, allowing you to later select the one that best shows the flag. Greece has a reputation for sensitivity regarding photography around military areas. An incident at Kalamata airport in 2001 shows how serious this can be, so be wary of photography near any military equipment or personnel. Bear in mind that many smaller Greek charter airports, such as Kalamata and Preveza, double as military airfields, even if this is not immediately obvious. Whether in Greece or anywhere else, be careful. Once you’re home, you will possibly process and archive your photos. You may choose to share them on a social site like Flickr. In most cases, you’ll tag your photos so they can be easily found, by you, by website visitors, by search engines or by stock agencies. Tags might include words like Sailing, Sea, Catamaran, Greece and Sunglasses as well as words that describe the location in which the photo was taken. In some countries, including Greece, this presents an interesting language situation. Many places in Greece have multiple spellings using the Greek alphabet. When transliterated into Roman text, as read by English speakers, the various possible spellings multiply still further. If you’re tagging your photos comprehensively, it makes sense to use all the variations you know of. This may seem like an unimportant detail, but it maximises the chance of my photos being found by other people. If you’re visiting a location with several names, or with various spellings, use them all for your tags and keywords. 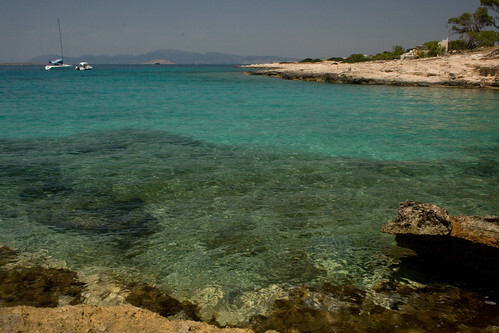 The photos of my 2009 trip to Greece can be seen on Flickr. 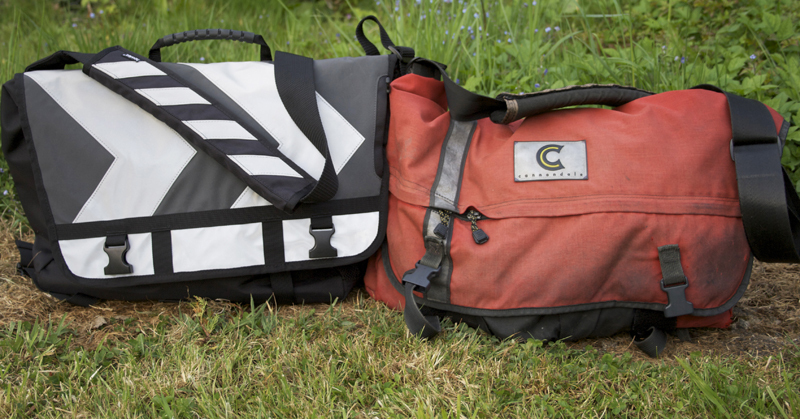 Two courier bags. One black, one red. I’ve owned one of them for around 7 hours. I’ve owned the other for for about 12 years. One is brand new. The other is rapidly falling apart. One of them has just been bought from the howies shop in Carnaby Street. The other came from a bike shop in Liverpool. One of them sports crisp new buckles that click loudly. The other has long since lost the working parts of all its buckles and has twice been repaired by a shoemender in Brighton. One smells of new shoes and outdoor shops. The other smells of biscuit crumbs and sweaty cycling kit. One has a fleecy pocket for an MP3 player. The other was made before the iPod had been invented. One has a handy sleeve for my laptop. The other was made at a time when I would carry a small box of floppy disks. When I pick up one of these bags it feels unfamiliar and a little awkward – like it belongs to someone else. The other one moulds itself perfectly to the shape of my hip and lower back, like it’s part of my body. It has been with me virtually every day for over a decade, going to work, going travelling, going on bike rides and sharing adventures. Let’s see what the next 12 years has in store. Last night, as I set off for an off-road ride through Alice Holt Forest, I was distracted by an unusual-looking wheeled contraption in the corner of a Forestry Commission car park. Intrigued, I rolled over to investigate. What I saw fascinated me. I found a vehicle the size of a small car, with three bicycle wheels. 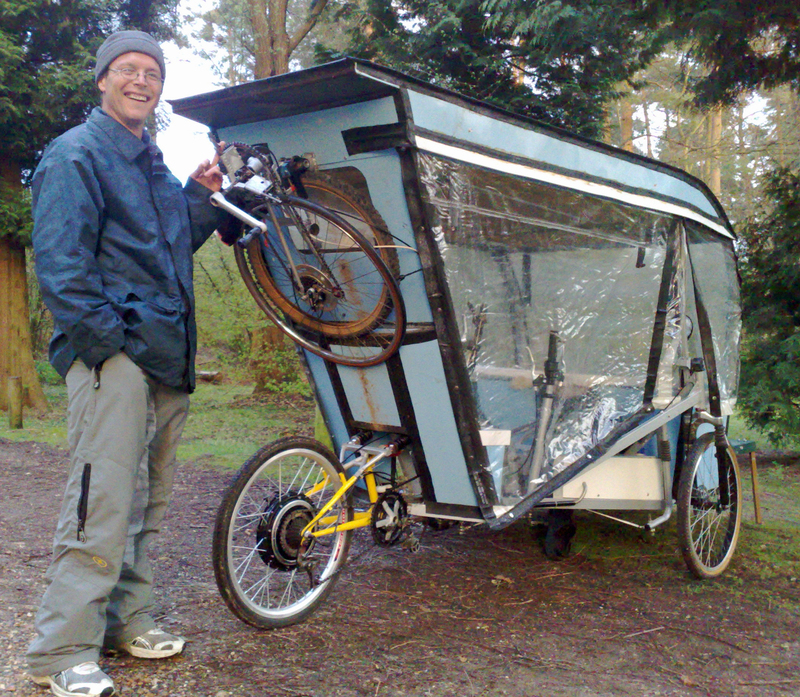 It had a sturdy roof and a cockpit enclosing a recumbent seat within flexible transparent walls. The forward-facing pedals were connected via several chains and mechanisms to a rear wheel that seemed to feature suspension and electrical assistance. Attached to the rear of the bodywork was a further baffling assembly of wheels and cranks. As I examined this impressive machine, a figure emerged from a folded-down seating area at the front of the vehicle. The man introduced himself as Nick Meadows, and proceeded to proudly show me around his creation – the Eco-Trike. Nick eagerly showed me the TIG-welded chassis, the electrically assisted drive mechanism and the solar panels covering the roof. He explained how a bed could be folded down from the ceiling and how the Eco-Trike could hold enough water, food and power to enable several days of self-sufficiency. I was ushered towards the back of the vehicle, where I received an explanation of the assembly strapped to the roof. Three windmill-style sails could be attached to a bike wheel, which then drives a marine alternator as a supplement to the power provided by the solar panels and human exertion. A quick blast from the Eco-Trike’s sound system demonstrated capabilities of the impressive electrical system. It seems Nick likes an adventure. He told me of his love of travel and how, after spending a year building the Eco-Trike, he intends to ride to Dover and onward through Europe. His ultimate goal? Gambia in Africa. I’m no stranger to peculiar bike-powered assemblies (I’ve seen bicycle sound systems and pedal-powered garden machinery) but I’ve rarely seen anything as elaborate, as intensively engineered and as passionately built as Nick’s Eco-Trike. I wish him all the best with his travels. Nick’s website is called The Other Way, where he has more information about the Eco-Trike and his travel plans. Compulsory insurance for cyclists: Why not? In the UK, if you ride a bike, write about bikes or work with bikes, there are certain thorny debates that crop up repeatedly: helmets, insurance, licensing, red-light-jumping and road tax are the usual favourites for discussion with journalists, motorists or fellow riders. This morning was the turn of insurance. Oddly prompted by government proposals around compulsory insurance for dog owners, an exchange of views broke out on Twitter, debating the pros and cons of mandating third party insurance for cyclists. Such a move would ensure that in the event of a cyclist being at fault in an accident, compensation could be made available to injured parties. There seemed to be some firmly held, and sometimes opposing, views on the subject among @carltonreid, @velofello, @markbikeslondon, @FatManonaBike, @John_the_Monkey, @cyclepod1, @breadedcod and me, @CliveAndrews. On the face of things, this looks like a reasonable idea. An equitable idea. Motorists are required to have third party insurance, so by taking responsibility in the same way, cyclists can be seen as equal to their four-wheeled contemporaries. Of those who believe cycling to be a good thing for our society and our environment, most would like to see greater numbers taking to two wheels. With this in mind, we owe it to ourselves to ensure cycling remains as approachable, as accessible and as ‘normal’ as possible. Committed cyclists may think nothing of investing a few quid in third party insurance. Many of us, through membership of cycling organisations, already hold insurance, so a compulsion to obtain third party cover will be no obstacle to our riding. But what of those millions of people on the brink of deciding whether or not they should drive a little less and cycle a little more, and who would never define themselves as ‘cyclists’? 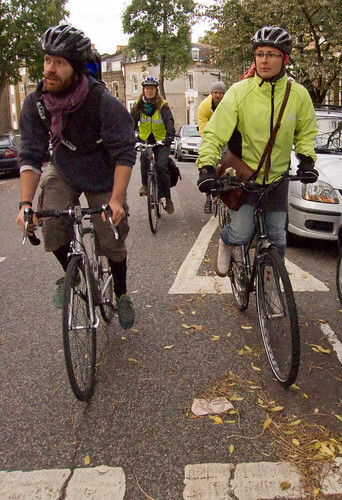 In a system with compulsory insurance for cyclists, the only people riding bikes would be those who take the deliberate decision to label themselves as cyclists by making the effort to obtain insurance. Do we want a small number of committed, legally paid-up cyclists feeling smugly secure in their legal parity with motorists, or do we want cycling to be accepted as the easy, affordable hassle-free way for everyone to get around? We are all road users, making our own decisions about which vehicle to take to school, work or to the shops. If we want more people to use two wheels for short journeys we should not do anything to take cycling further out of the hands of the average citizen and into the hands of people who have chosen to commit to cycling as an officially documented lifestyle choice. Some arguments on the politics of road use fall into the trap of adopting an ‘us and them’ mentality. We are the cyclists. They are the drivers. This ill-advised idea has a similar effect: We are the cyclists. They are are the non-cyclists. And if they want to join our club they will need an official piece of paper to show they are serious.